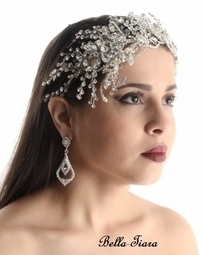 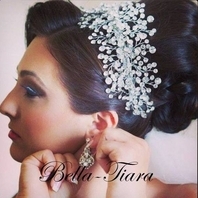 Description: New to our Royal Collection spectacular swarovski crystal headband. 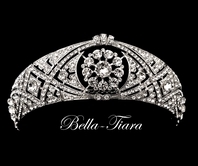 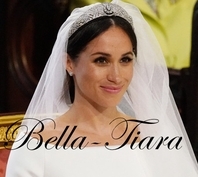 a couture high end piece sold exclusively at Bella-Tiara. 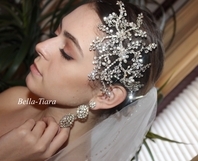 on flexible wire with hoops on each end to secure with bobbie pins. 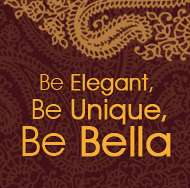 For various hairstyles.